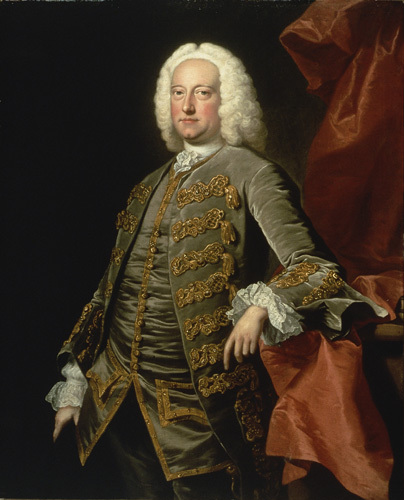 Sarah Fox was an untypical soprano soloist; in Messiah there is a tendency to go for white, boyish voices (though Handel rarely, if ever, used treble soloists). Fox is a lyric soprano, but she brought a richer toned voice, finely burnished tone and a greater sense of drama to the music. She really made the sense of the words count for something so that, like Jackson, you got a good feel of dramatic narrative. Her recitative sequence in Part One had a real sense of excitement, and 'Rejoice greatly' was full of crisp rhythms and passage-work which made musico-dramatic sense, whilst 'If God be for us' brought the evening to a close with a fine combination of beauty of tone and meaning in the words. Mezzo-soprano Angela Simkin has a lovely dark, burnished alto voice with a nice firmness in the middle and lower ranges which will, I think, make her a strong interpreter of the role. She sang a finely musical account, constantly turning in beautifully shaped phrases, and in the showier Guadagni sections brought out a superb technical ability too. But her performance does not, as yet, quite hit the spot. She did not make enough of the words, it was her sense of line and phrasing which counted rather than the dramatic narrative. And she seemed rather too wedded to her music, she simply did not look at the audience enough. Arias like 'He was despised' were beautifully sung, but you admired the performance for its musicality rather than gut-wrenching emotions. Bass-baritone Neal Davies is an experience Handelian and his performance combined a refreshing vigour with a good attention to the text, and a near-operatic sweep. So there were a clear sense of him telling a story, particularly in moments like 'The trumpet shall sound' and its preceding recitative. He could also be trenchantly forthright, as in 'The people that walked in darkness', though there were occasions when the vigour threatened to turn into bluster, perhaps more suitable for a larger scaled performance. The choir was on fine form, and produced some dazzling passage-work at Ian Page's sometimes brisk speeds. But the smaller size of the group also brought greater flexibility and incisiveness, so that the choruses came over with a strong sense of character too. There was one moment when ensemble came awry, but overall this was an impressive technical achievement, yet one allied to dramatic values. The important sequence of choruses in Part Two were vivid and varied, whilst also conveying a good feel for the narrative impulse of the work. The orchestra contributed to the sense of dramatic values, providing some vivid and incisive playing with a real chamber intimacy at times. Trumpeter Neil Brough was the fearless soloist in ;The trumpet shall sound'. 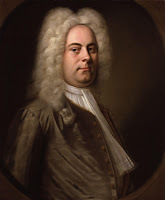 Messiah was not intended to be a sacred work performed in churches, librettist Charles Jennens deliberately intended the piece to be performed in theatres, to combined entertainment with instruction and reach those who rarely attended church, though Handel clearly felt that the work had a moral too it. So it was nice to hear it in secular surroundings and in a more intimate version which really made the text prominent.